For Lili Wright, that rejection from a Salt Lake Tribune editor turned out to be pivotal. 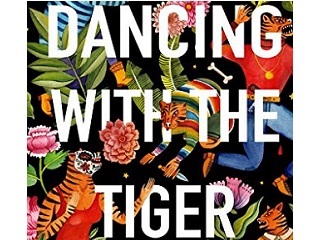 Lili Wright’s Good Reads essay is not only a wonderful chronology of how she came to produce Dancing With the Tiger, a Mexico-set novel that came out last week. It’s also a snapshot of her views on life, love, the creative process and the mad world that surrounds us. Furious, I wrote the story for a local magazine instead. The piece describes how a friend and I traveled to Mexico to scatter John’s ashes in the sea. This essay was another turning point: I realized I was tired of writing newspaper dailies and wanted to explore long-form non-fiction. I quit the newspaper and went to New York to earn my MFA in nonfiction writing at Columbia. This sad episode followed a year spent by Wright in San Miguel de Allende under the auspices of a journalism scholarship. She returned in 2006 to the country with her husband for a one-year sabbatical. Wright previously wrote the acclaimed 2002 non-fiction book Learning to Float. She reveals that the process of writing the novel spanned five years and 30 drafts.